What if you could trade your discarded food waste for fresh new fruits and veggies? That’s the idea behind Hello Compost – a service that offers fresh produce in exchange for compost in working class New York communities. The project, started by Parsons design students Aly Blenkin and Luke Keller, incentivizes residents to save organic matter from the garbage while encouraging better eating practices. Cities like New York generate huge amounts of landfill waste – so any material that can be diverted makes a big difference. Hello Compost participants are provided with attractive, odor-blocking, freezable bags to house their food waste. The bags are collected by New York non-profit Project EATS and then weighed and given a value, which translates into credits that can be used to purchase produce grown by local farmers. The credits are tracked using a smartphone application, and Hello Compost hopes to take advantage of the human propensity to compete and make the program more successful. From scraps to supper, the scheme is able to close the loop on food waste by connecting agriculture with those who could most benefit from a clean environment and balanced meal. 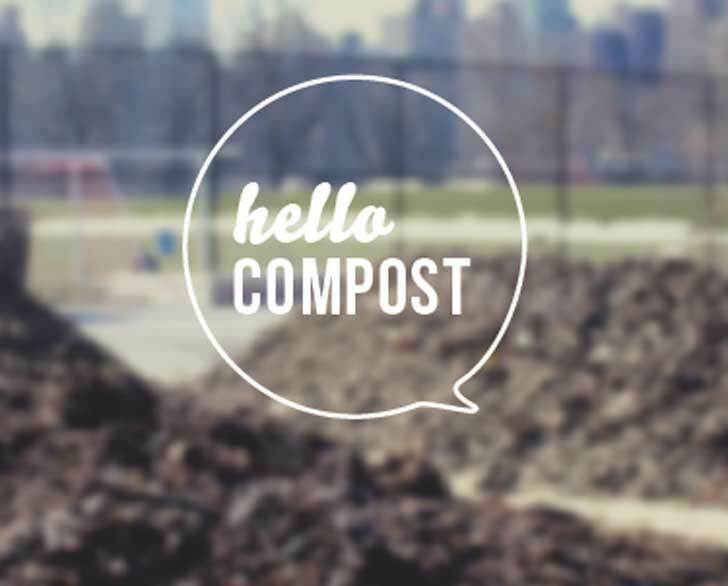 Moving forward, the team plans to pilot Hello Compost with the approval of the New York City Housing Authority along with Project EATS some time this fall. They are also an entrant into Fast Co.Design’s Innovation By Design Awards. 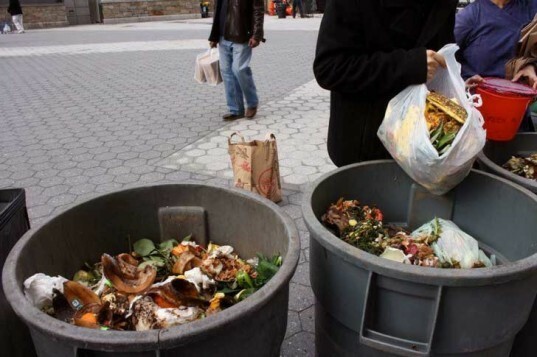 “We need to re-imagine the role of food waste from being a smelly, unattractive side effect of eating to an attractive resource for residents to positively impact their community and to help put fresh food on the table,” Blenkin says. By using good design, technology, and urban infrastructure, Hello Compost is determined to create healthy habits in areas that are traditionally overlooked and underserved. What if you could trade your discarded food waste for fresh new fruits and veggies? That's the idea behind Hello Compost - a service that offers fresh produce in exchange for compost in working class New York communities. The project, started by Parsons design students Aly Blenkin and Luke Keller, incentivizes residents to save organic matter from the garbage while encouraging better eating practices.